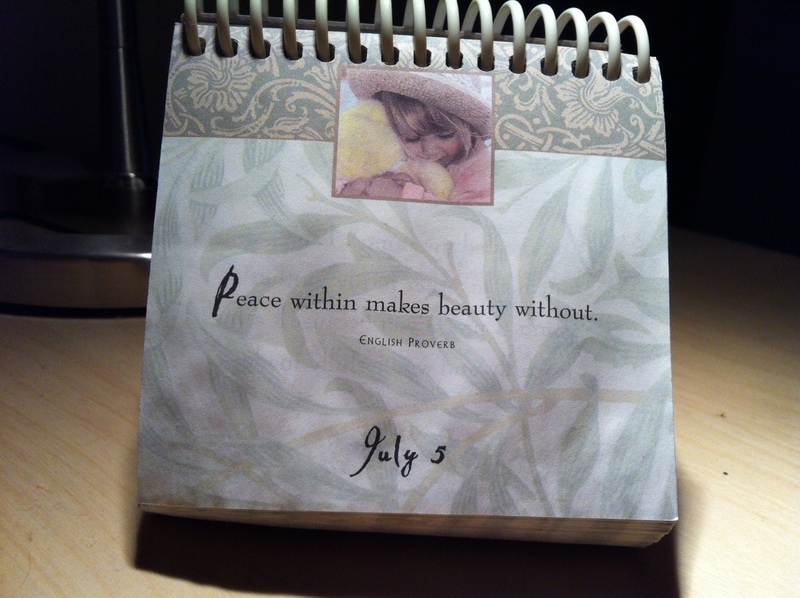 I have been particularly struck today by this proverb on my perpetual calendar. It speaks to truth to me, but also makes me wonder whether the opposite is also true. Whether beauty without can bring peace within. I have spent the morning outside in our garden, enjoying the winter sun; the sounds of birds; the laughter of the girls playing; and the smell of my rosemary, mint and basil as we accidentally brush them. I have had a wonderful morning and felt very peaceful. Until, I came inside to the dishes, the craft activities everywhere, and toys scattered from one end of the house to the other. So my mission today, is to bring some of that beauty in, some of the smells, sights and sounds and see if I can get peace inside (both me and my house) as well as outside!